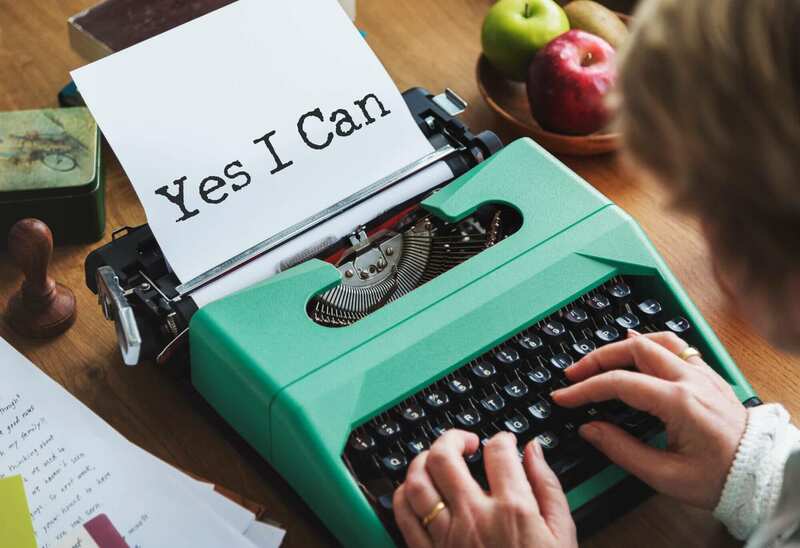 In this article, you’ll have the opportunity to learn how to get started with self-publishing from a digital entrepreneur, and successful self-published author. The objective will be to give you a few insights to get you started and a few tips to avoid critical pitfalls to build a business based on self-publishing. I’ve known Tom Corson-Knowles since 2015 when I was looking for ways to supplement my income and build an info-product digital business based on ebooks and online courses. It was back in 2015, and Tom’s course on Udemy was a precious resource to get me started. Today, Tom is the founder of TCK Publishing, a mass market book publishing company that helps authors succeed. They also teach courses and provide tons of free information on their site to help other authors and publishers increase their sales and make better business decisions. Their business model is attractive because TCK doesn’t charge you any fee to help you publish your book. They earn all their profits when they help you sell more books. TCK pays its authors 50% of net royalties. This means that if you sell $5,000 worth of your book, you will make $2,500. It is important to remember that this is after Amazon takes its fees from the book sales. The book business isn’t an easy one to start with for a few simple reasons. First, as an author, you might have the skills to write a great book, but don’t have a clue on how to commercialize it. Second, usually, the pricing of a book makes it a difficult item to sell because you have to strike a balance between marketing channels that work. Imagine the scenario of you selling an ebook at $9.99. And your primary channel for selling it is Facebook ads. If you need $10 in ads to sell a single copy, you’re losing money. Third, and most important, the self-publishing market has also grown due to the low barriers to entry. Therefore, even though the number of people that self-publish has grown exponentially, a very few make enough money to live with that. As Tom gave me the opportunity to interview him. I’m taking that opportunity to ask him questions related to things for which I struggled the most and that I bet you’re struggling with as well if you’re trying to build a self-publishing business! G: If you’re publishing a book to earn extra income. It is critical to find ideas that can have the potential to make you money. How do you research and brainstorm the right ideas to self-publish a book? Tom: There are two parts of your brain, roughly speaking, the right and left hemisphere. This is an oversimplification, but basically, the right side of your mind has to do with the big picture, creative thinking, and the left side has to do with verbal and analytical thinking. So when you’re brainstorming ideas, you’re using your right brain to “brainstorm” a wide variety of ideas. Some will be bad, and some may be excellent. But you’ll never know until you go through that creative process and write it all down. After you brainstorm a big list of ideas, that’s when you should analyze those ideas with your left brain and sift through all the ideas to select the best ones. The way you brainstorm better ideas is to simply brainstorm as many relevant ideas as you can, and then pick the best ones. That requires two different parts of your brain, and so it requires two different processes. Schedule a time for brainstorming, and schedule a separate time for analyzing your list of ideas. By focusing on those two processes, you’ll end up with much better ideas over time. How do you write a great book, quickly? Is there a process that you can suggest to make the process of writing, sustainable, and repeatable? Tom: The same process I just mentioned for brainstorming and selecting ideas is the same process you’ll need to use throughout the creative process of writing a book. So, first you’ll start brainstorming ideas for the book, and then you’ll pick the best one or ones. Then you’ll brain dump a bunch of ideas on the page as you write your first draft, and after that, you’ll revise, edit, and analyze those ideas to make them even better. If you want to make the process faster, get better at both parts of the process, and never try to edit while you’re writing your first draft. Our team mapped out the process for writing a nonfiction book and writing a novel, so that will help anyone who wants to see the big picture and get a step-by-step plan in place for writing their book. Gennaro‘s Notes: to get started it’s critical to have a process in place if you want to avoid to get lost. Writing a book isn’t simple, especially if you’re not yet a professional writer. For that Tom has cut through the noise for us. Of course, the process will vary depending you’re writing a nonfiction book vs. a novel. When it comes to writing a novel, the logic changes. I do suggest you go through Tom’s guides. They’ve helped me a lot when I got started. G: Most amateurs writers believe that once you have the content and it gets published, most of the work is done. In reality, content – although quite important – is only a fraction of the work. The remaining and critical part is about creating the distribution for your work. What is a process that you suggest in terms of marketing a book? Is there a particular distribution channel you think is more suited than others? Tom: The key to marketing is to understand your customer, your reader. Who are they? What do they want? And how are you serving them better than anyone else in the world? If you can’t answer those questions, you won’t be able to put together a great product, or a great marketing plan to get that product out in a big way. Marketing is an enormous topic, so here’s the best resource to get you started on the right track: How to Become a Bestselling Author (it’s a free blog post walking you through the marketing process to create a bestseller). Gennaro‘s Notes: I’d like to stress this point. When I got started with self-publishing, I believed that it was all about writing. Yet if you aim to create an income with our works, you need to become pretty good at marketing and distributing it. Tom has done that consistently. Choosing a less competitive subcategory means improving your chances to be on the best sellers list. If you get there, Amazon might be pushing your book, which means you’ll get more sales in. Tom’s guide goes through each step you need to take to improve your chances to be featured as a best seller! This is one example of the distribution strategies to become a successful author. If you’re not willing to invest time and money to understand those mechanisms, it’s very hard you’ll be able to succeed! G: Becoming a full-time author is probably one of the most challenging endeavors. A book is a product which is scalable. Thus, it can make you money while you sleep. However, just as any scalable venture, it is also hard to build up organically. That’s because in many cases a book either becomes a hit or nothing at all. Is there a way/process to organically grow the book sales? Tom: Yes, it’s called building an author platform. Create something precious and unique that makes people want to share it, and get your message or story out to more people. I recommend you choose one platform-building marketing strategy and master it. Whether it be public speaking, blogging, publishing free videos on YouTube and Facebook, mastering Facebook ads or social media, or any other marketing strategy—whatever you do, practice it every day, constantly learn new things, and become the best you can possibly be at it. Gennaro‘s notes: when you first get started with the marketing activities for your book you might be sucked in by the noise on the web about the things to do to sell more books. The problem is most of that is worthless advice. You don’t need to be anywhere to make your book successful, all it takes is to focus on a single platform that best suits your personality, style and that you’d be able to nurture. For instance, if you like to write consistently, then blogging might be the best option. In other cases, it might make more sense for you to leverage on public speaking or social media. Whatever platform or medium you choose, make sure to focus your effort on one platform at the time. Once you’ve mastered it, you can move to the next. G: Last but not least. On a platform like Amazon, in many cases, the success of a book depends on its momentum. Therefore, the more the book gains traction in the short run; the more the Amazon algorithm will suggest it to more and more readers. Thus, the short-term success of a publication represents also critical for its long-term success. How do you gain momentum for your book sales? Are there some actionable tips an author can implement for that? Tom: Word-of-mouth is still the #1 reason people buy books. So do your market research thoroughly and write the best damn book you can. After that, test out every marketing strategy that makes sense to you and would help you reach your audience, and then double down on what works for you. You can use book promotion sites, AMS Ads, and other book promotion services to help get that initial boost when you release a new book. Gennaro‘s notes: as Tom pointed out, once you have great content (that is the baseline) the remaining part is about experimentation. You will not know what marketing effort will work for you and what not. Once you figure out what is working you double down on it. This is a sort of Bullseye framework to get closer and closer to your sales targets! G: Thank you for giving us the chance to learn valuable lessons based on your precious experience! Tom: You can check out my blog at www.tckpublishing.com/blog or just search for Tom Corson-Knowles on social media if that’s your thing.